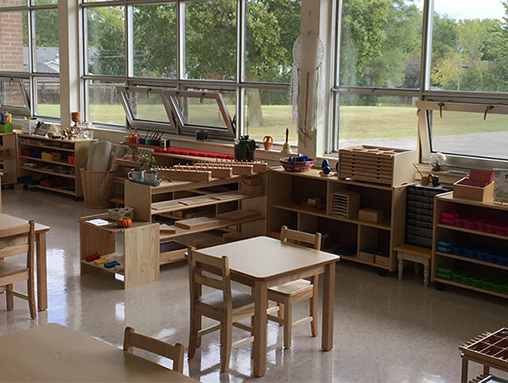 LAKEWOOD MONTESSORI SCHOOL has a lot to offer. The Children in our classroom are of mixed ages. This gives the older children a chance to help take care of and teach the younger ones. They are so proud to be able to really help out. This also lets the younger children see what kind of work they will be doing as they grow, and it lets them interact with children that are more mature then they are. The academic lessons are presented individually. This lets the children work at their own pace and eliminates competition. The children learn new concepts as they are ready for them. We always encourage them to work, but we will not push them beyond their ability using their interest level and sensitive periods as our guidelines in putting together each child projection plan. They are allowed to choose their own work. They work on a particular activity for as long as they want to, and put it away when they are finished. The classroom is filled with fascinating materials. In the beginning the children work on developing hand-eye-co-ordination, control of their muscles, and the ability to concentrate. We spend a great deal of time on sensorial development, because this is crucial to all aspects of their lives. 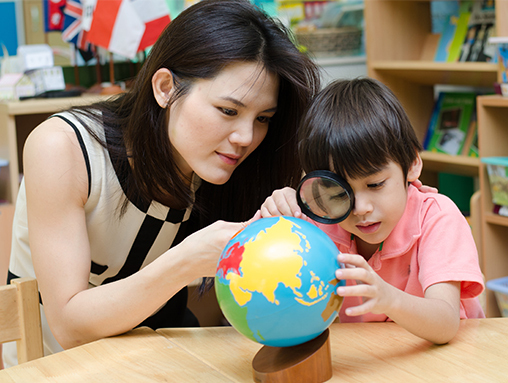 As the children are ready, they begin to work on language (reading, writing,) math (recognition of numerals and understanding of concepts), geography, botany, zoology, and social studies. This is just the beginning of a life of learning ….